With the addition of Boomkat's marketplace to the latest version of Trackhunter I thought we would take a look at what audio delights could be found and share them with you. I also thought it would be useful to explain the process of searching and how Trackhunter helps with that given the growing number of releases each week. So as you can see, quite an extensive collection of genres hosted on this most expansive of music marketplaces. In fact it lead me to a discussion forum post on Drowned in Sound in 2012 titled: 'Does anyone else get overwhelmed when they visit Boomkat?'. Below the header it extended to dozens of replies, some agreeing and some saying that it was no surprise and that people should get used to it. Yet they do not have to feel overwhelmed with the sheer amount of music that is released or re-released each week, not just on Boomkat but on any music platform. Many music fans would complain, and rightly so, if they were to go to their favourite online music marketplaces and find tracks and artists missing from the virtual shelves. These days it is far easier for an online retailer to stock as much as they can get their hands on as beyond vinyl, tape and CD, as it takes up no physical space. So back to the issue in hand, Boomkat and its competitors does indeed have a lot of music to trawl through. Whilst that post on the Drowned in Sound forum was posted five years ago, we can easily assume that music lovers now have even more music to dig through. So 1800 tracks might seem like quite a lot to trawl through, but for me as someone who has an incredibly varied taste in music from funk to hip hop, from techno to ambient it's reflective of the number of releases coming out every week. The thing to remember is that not every track you hear might be new, it could be a re-issue, re-edit, an entire label back catalogue from the 1990s. So here are a few of the gems that I discovered last week. Hitting hard from the very start, this is heavy funk come disco that might not appeal on first listen. Lots of horns, stabs and warbles with vocal shouts of 'Shake it make it take it' make this a superb second outing for Medlar who put a quality acid, deep techno ep almost a year ago on the Riverette label. This latest release features four mixes of the title track with the 'Original' version coming out on top. Phil Kieran's productions gets a workover by Andrew Weatherall and Roman Flügel on a double header for Hot Creations - one of the labels we tipped for big things earlier this year on Trackhunter. Weatherall's reworking of 'Find Love' is a subtle warm techno trance excursion that had a classic 1990s vibe about it with a modern twist and top production. On the flip side Flügel takes things a bit more harder with a moody techno remix of 'No Life'. The ever brilliant Stones Throw label deposit a 22 track track album by Michael Cohen from Tel Aviv. The Israeli influence is obvious from the start with the intro track 'Milk and Honey'. My only complaint about this beat maker's release, as with many from the hip hop instrumental community is that the tracks are just too short. Just six of the 22 tracks make it past the two minute mark, which is a shame as the are indeed a fine collection of loops and beats. Not all of the tracks are instrumental as guest appearances by Jeremiah Jae, Oliver the 2nd, Denmark Vessey and Nanna B all produce vocal interludes with the latter producing a wonderful piece of sweet soul goodness I'd love to own on vinyl. I hadn't come across Mary Ocher - AKA Mariya Ocheretianskaya - before and her fourth long player might not be everyone's cup of tea but it is mine. The experimental, avantgarde release drifts from ghostly drones to post punk, heavy bassline material and the track I picked for my podcast with Zah Zah Pt1. Not a release for your typical dance floor but there are tracks that would shake down any discerning backroom soundsystem. This is a great album for home and anyone who is a fan of the likes of Bat for Lashes and Siouxsie and the Banshees. Another fine label and another treasure trove of fine beat production with 32 tracks in total by Onra who is based in Paris. 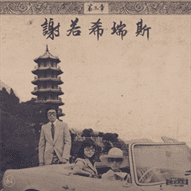 This is his seventh long player as with his other outings have a strong oriental influence and feel very much as if it was recorded for a 1970s cult film soundtrack. 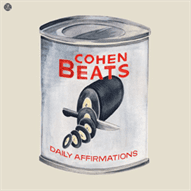 Like Cohenbeats, most of the tracks struggle to reach the two minute mark, but that aside they are all superb outings that would also benefit greatly by the addition of some rap lyrics. When you have 32 tracks to go through, despite how short, it is impossible to pick out favourites, so I suggest you check the whole album out for yourself. Ford Foster, based in the UK, has been releasing tracks since 2012 and his latest outing gets all ghetto and heavy. With four tracks to pick from it kicks off with Reputations, an unforgiving heavy and distorted techno workover that would test a few speaker systems. Hold it in goes for the ghetto tech approach which builds up to a gnarling, annoyed wasp like crescendo. The track I plucked out for the podcast caught not only my ear but my eye after I saw it had a remix by Chicago House legend Mike Dunn. Decisions is a bubbling acid house production that shows Dunn clearly still has got what it takes to produce superb house music. In the next few months we will be looking at the recently added Bleep and Soundcloud marketplaces to see what excellent music we can find without breaking into a sweat. Watch this space.